The Norwegian Coastal Administration has revealed visualizations of the world’s first full-scale ship tunnel that would link two fjords on either side of the Stad Peninsula in Norway, allowing ships to bypass the “most exposed, most dangerous” waters on the Norwegian coast. With the project now in the feasibility stage, architecture studio Snøhetta has produced a series of rendered design concepts to help the project gain traction within the Norwegian government. The Stad Ship Tunnel would measure 1.7 kilometers long, 36 meters wide and 49 meters tall—large enough to accommodate full-sized boats such as large cruise ships, sailboats, and coastal steamers. 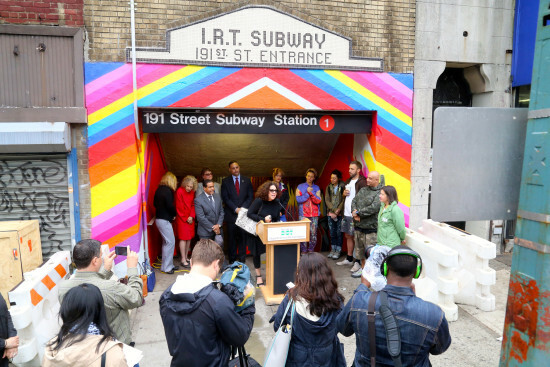 Traffic would pass through one way at a time, but even with a waiting period, the tunnel would chop off significant time and hazard from the existing route around the peninsula. Estimates show that between 70 and 120 ships could use the tunnel on a daily basis. 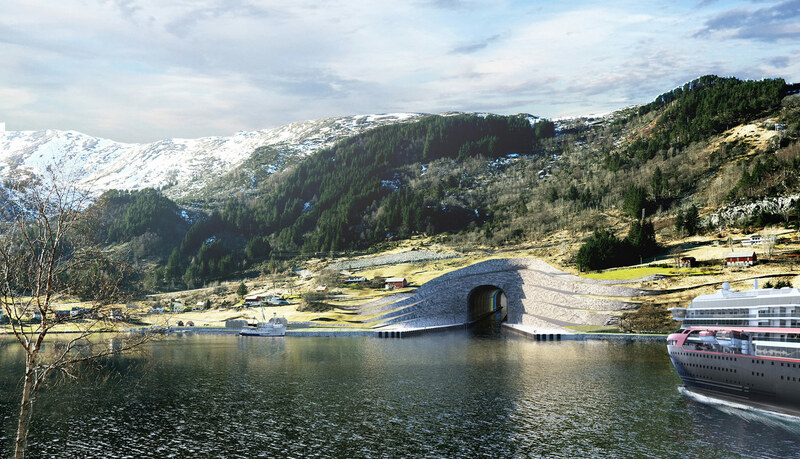 Working with Olav Olsen of Norwegian consulting firm Norconsult, Snøhetta has designed the two entrances to the tunnel using the material palette of the peninsula, with both wire-cut and blasted stone walls making up the opening arches. On the Moldefjorden side, the design would utilize the steep landscape to create a dramatic entrance. A more sensitive, terraced opening would pop out at Kjødepollen, where a small village is located. The idea for building a ship tunnel through the Stad Peninsula has been discussed for over 100 years, with original plans documented as far back as the 1870s. Historians have even discovered that Vikings often preferred to portage their ships over the 1.7 kilometer stretch than sail through the dangerous seas. Initial cost estimates for the project come in at 2.3billion Kroner (~$270 million USD). The Norwegian Coastal Association is hoping to receive a final political decision soon. If approved, construction could begin as early as 2019. News via Norwegian Coastal Association. Written by Patrick Lynch. Want more from ArchDaily? Like their Facebook page here. 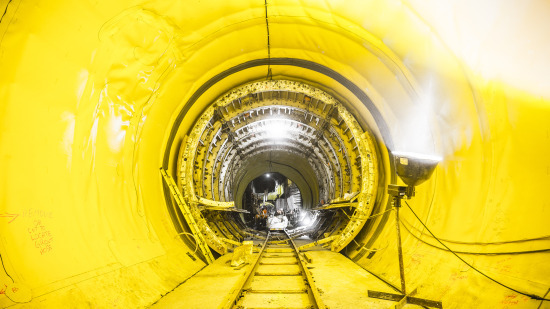 It is unclear if or how these tunnels will be approved for construction, whether Musk has begun the environmental review process for the tunnels, or if the tunnels will be built using solely private investment or whether the local, state or federal governments will help out. 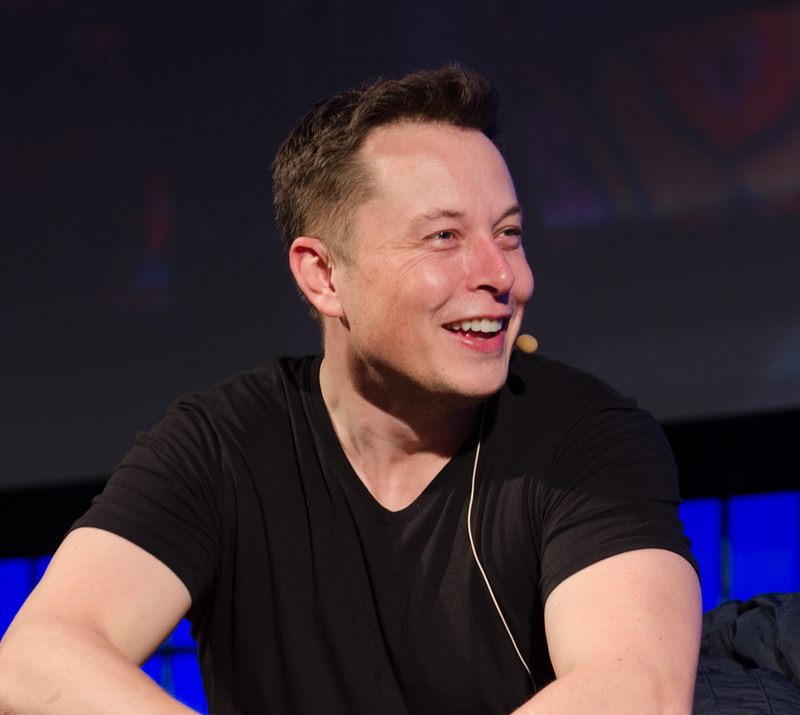 Musk has cozied up to President Trump in recent weeks, attending a technology summit at Trump Tower earlier this month and another meeting on manufacturing just after the president was inaugurated, so it’s possible he could have access to some portion of the president’s purported $1 trillion infrastructure plan. 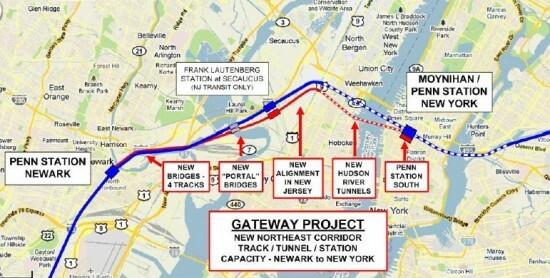 Details for that plan is still forthcoming, but early reports indicate it will rely heavily on Public Private Partnerships and will aim to boost highway, bridge, and tunnel infrastructure—not to mention detention centers, and prisons—at the expense of more publicly-oriented and environmentally-friendly infrastructure like rapid-transit. It is also unclear if Musk has considered taking L.A.’s existing rapid transit system when traveling to the airport. There’s a stop on the system’s Green Line at the corner of the block where Space X’s headquarters sits. Additionally, with the Crenshaw / LAX Transit project due to be completed in 2019, getting to the airport should be quick, easy, and only cost $1.75 each way from there. “Traffic,” after all, isn’t something that merely happens in isolation; it’s a phenomenon that happens as a result of individuals using private vehicle transport to get around. On the surface, Clapham South is your standard Northern Line tube station, complete with art deco decorum to boot. 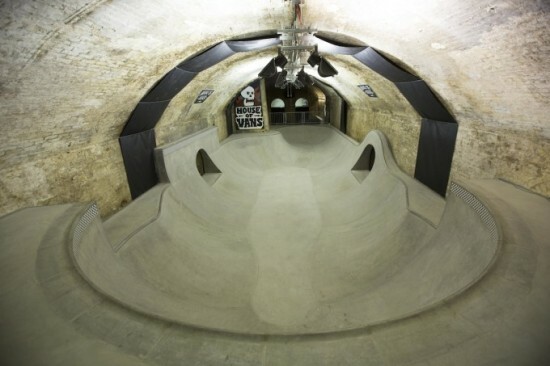 Situated in South London in what was once a gritty part of the capital, but now a typically gentrified area, there are more than just tube tunnels that run below the ground. One hundred twenty feet and approximately 178 steps down, one can now find the place where many South Londoner's took refuge during World War II. The tunnels at Clapham, now open to the public for the first time, once catered for over 8,000 people. After a public protest for more deep level shelter protection, tunnels were dug by hand such was the desperation of the local population. As Londoners clamoured for beds, air raid tickets were issued with strict guidance on what shelter to go to and even what bed to use. 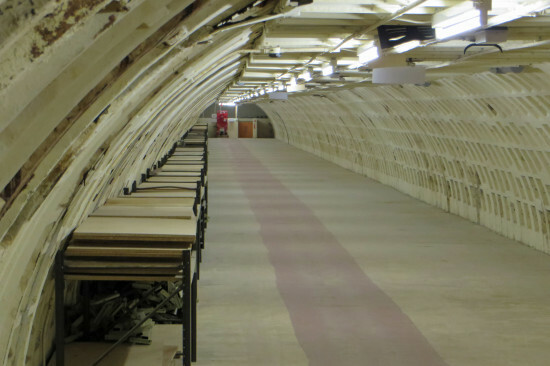 After lying dormant for 70 years, the tunnels and beds left untouched have been reopened. The original signs remain and thanks to a few tactful inceptions courtesy of Transport for London (TfL) and The London Transport Museum, the tunnels offer an immersive view into the life of a Londoner during war time. TfL say that they hope the tunnels will also be a useful stream for revenue. After the war, the tunnels remained in use, acting as temporary homes for immigrants invited to Britain from the West Indies. Most of the beds were used by Jamaicans who had travelled across on the Empire Windrush in 1948. Clapham South wasn't the only station used for refuge. In fact many tube stations doubled up as shelters during the war. At the other end of the Northern Line, American talk show host Jerry Springer was born at Highgate tube station as his mother took shelter during an air raid in 1944. 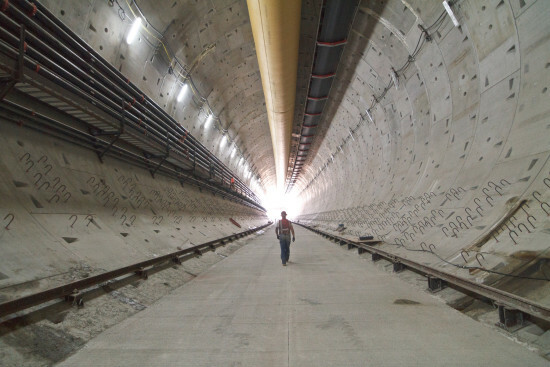 It looks like it's bad news again for the in-progress Alaskan Way Viaduct replacement tunnel in Seattle, and for Bertha, the nickname for the world’s largest tunnel boring machine being used to create the underground highway. Bertha has been idle for much of 2014 due to a broken cutter system. 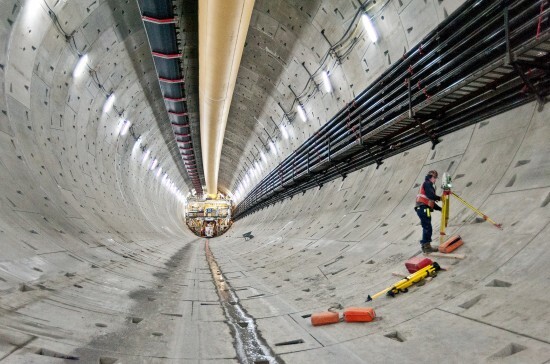 And now the complex process to reach Bertha 60 feet below the surface has been halted. Recently a team of engineers discovered that the soil around Bertha is sinking as much as 1.4 inches in some places. The project will be further delayed as engineers get a better reading on the settling of the soil. Originally the viaduct was scheduled to open in December 2015, but now the date has been set to sometime in 2017. Somewhat ominously, the Seattle Times reported: “The viaduct settlement this fall could mean that some portions of the structure have sunk more than 6 inches since the 2001 Nisqually earthquake—exceeding a safety limit that WSDOT publicized last decade." Let’s hope the engineers and officials get to the bottom of this soon. 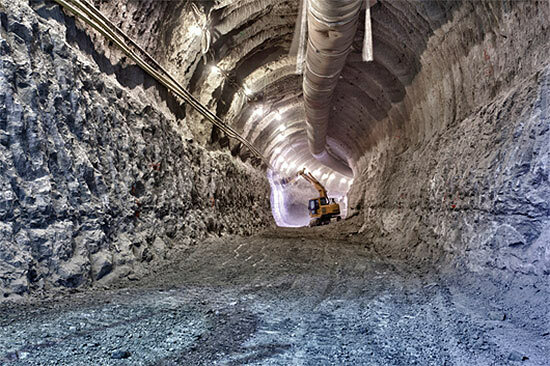 What stopped earth’s biggest-diameter tunnel boring drill? It was early December in Seattle when the world's biggest-diameter tunnel boring machine, called Bertha, came to a stop underneath Seattle. It was plowing through the city's underground as part of the two-mile project to bring SR 99 underground and replace the Alaskan Way Viaduct. Overnight, it seemed as if the whole of Seattle and beyond was curious: was it buried treasure from the gold rush days? Or bootlegger artifacts? Last week officials determined the frustrating cause of the blockage: an 8-inch wide, 119-foot long steel pipe originally placed by a state groundwater research team back in 2002. The Washington State Department of Transportation is currently drilling shafts to grind and remove the pipe. 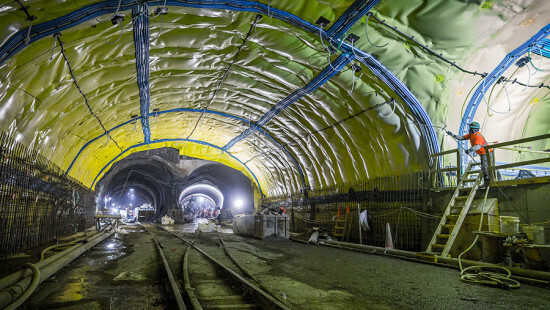 Tunnel Rats: Does Texas Favor Building Highways Over Subways? According to a very confidential source, engineers currently working on the Waller Creek tunnel believe that Austin sits on top of some of the most optimal conditions for tunneling in the entire U.S. These number-crunching problem solvers claimed that a subway tunnel beneath the Texas State Capital’s downtown would cost 1/10th of the amount it would in most places in the country. However, the brainiacs also said that there are those in high places who do not want that knowledge spread around (read TxDOT) because the construction of more freeways is making certain people a great deal of money.